Work in culture is a recruitment website that was created in response to the need to focus on a specific field in the recruitment market, that is the cultural sector. The platform integrates employees and employers of the cultural industries. We began with a workshop with the client, the platform stakeholder. First of all we have established the vision of the product – we have identified business goals, analysed several concepts and recommended a strategy. Research was an important stage – we had to review such elements as the online tools, that are being used by the recruitment sector. We have asked ourselves what kind of websites are popular in the recruitment process and why. We have defined the structure and functionalities from scratch. 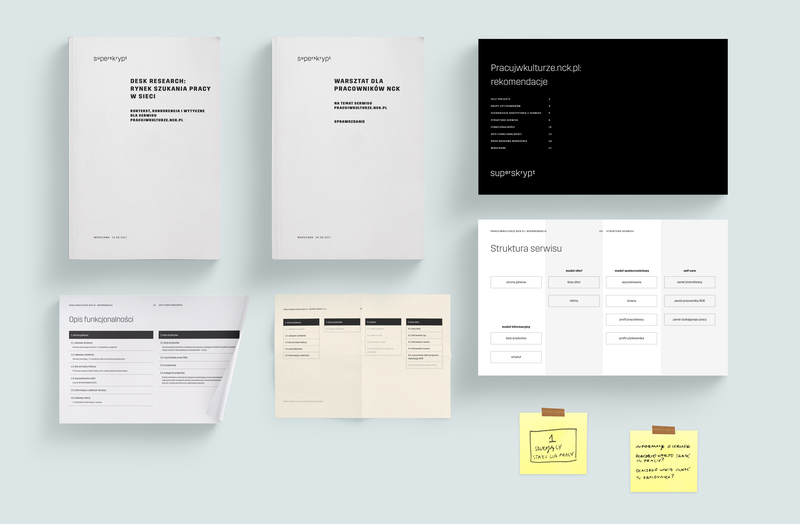 The final product has been designed so that it's clear, functional and compatible with the visual identity of Work in Culture. The implementation, in both design and UX was driven by interactive approach, particular elements and sections were being designed in the course of implementation, they were verified and updated at every stage. An important part of the project was to create a space for communication with employers, a place to showcase the advantages of the platform. In order to do so, the sections for employers and employees have been clearly distinguished and supported by eye-catching animations encouraging the visitors to use the platform. Pracuj w kulturze (work in culture) is the largest online job board focused on the culture industry in Poland. We designed & developed the solution including the self-care panel for employers as well as custom application process.